I've recently taken stock of my feelings about Shawn Carter, who many of you know better as Jay Z, with or without the hyphen. (In my own mind he'll always have it.) I've seen a recent rise in negativity toward Mr. Carter, and to start off this editorial let me note than in fairness I've been fairly critical of him myself in the past. In fact one particular review on the site stands out as our most requested "redo" of all time. Let's just say that I'm considering that possibility as either a companion piece to this editorial or a follow-up for next week's update. It's still my least favorite of all of his albums, though with the time and maturity of 15+ years I can say my feelings about it have changed considerably. It was from there that his slow but steady rise to rap prominence began, as he stepped out from under The Jaz's shadow and made memorable cameo appearances on tracks by Big Daddy Kane ("Show and Prove") and Original Flavor ("Can I Get Open") that raised his profile and gave me an early inkling that Jay-Z was a man to watch. Even with these promising verses I had little idea of how much impact "Reasonable Doubt" would have on New York City in general, hip-hop in particular, and me on a personal level. I have a love/hate relationship with "aspirational rap" but Shawn Carter seemed to present a more mature and updated take on the subject. Obsessed as he was with ostentatious displays of wealth, he was also able to elucidate the pitfalls of the lifestyle, and the sacrifices that one made to succeed at great personal cost. "Ain't asking for forgiveness for my sins." The point of this editorial is not to give you Shawn Carter's autobiography though. At this point you're well aware of the life story and the litany of hits that followed, as Jay Z went from the underground sensation to the Marcy advocate who maintained his street credibility as he scored hit after hit like "Hard Knock Life," "Big Pimpin'," "Izzo (H.O.V.A.)" and "99 Problems" just to name a few. As the 2000's wore on though I could feel the envy rising up in the ever-present "who's the greatest emcee" discussions. Shawn Carter's presence in the debate was a given for many years, but the first chink in the armor was his self-imposed "retirement" that wound up being shorter than Michael Jordan's stint as a baseball player. The hits kept on coming, but so did the questions as to if he deserved his reputation, to the point that 2013's "Magna Carta...Holy Grail" suggested he was now out of step with today's rap artists. Writer Grant Jones criticized his "excessive examples of plain old brag-rap" and a selection of beats that were "flat out boring," although the lead single was yet another hit for Jay. 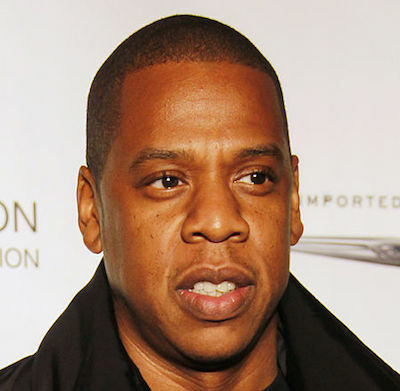 Where do we stand on Shawn Carter in 2015? If we're evaluating him strictly on the basis of his music, he may be reaching that point where after 25+ years he's no longer at his artistic peak, and when you consider how short careers are in entertainment that span is in itself worthy of a lifetime achievement award even if he may now be on the downside. His legacy is certainly larger than his music alone though - he has started numerous business from Roc-A-Fella Records to Roc Nation (and Roc Nation Sports), and was even instrumental in bringing a NBA team to Brooklyn. He didn't just create wealth for himself, he created a vast wealth that he subsequently reinvested into his labels and brands, and in turn gave other artist and entrepreneurs the opportunity to get a slice of the pie too - likely without having to do what he did as a "street pharmacist" to make ends meet until rap started to pay off. If I'm evaluating Shawn "Jay Z" Carter I have to evaluate his legacy as a whole, and the fact that he attracted an equally successful (and entrepreneurial) mate in Beyonce Knowles, who arguably has the greater upward trajectory artistically of the two right now. She has yet to hit her peak or see the backside of her career, and there doesn't seem to be any hint of jealousy from him over it - just adoration for her and their daughter Blue Ivy. The bigger legacy for Jay Z will not be that he made it out of the Marcy Projects to become one of the biggest rap stars globally - it will be that he parlayed his success as a rapper into businesses, investments, and a family that can carry on his legacy. He serves as a reminder that while too many of rap's biggest stars are slain before their time, there is another way to live on beyond posthumous albums - the path you leave for others to follow behind you and achieve their goals too. Jay Z is just the brand - Shawn Carter is the mogul behind it all who made it happen.